All to often I see news reports about tools that are stolen from a jobsite. These tools are required for a person in construction to do his or her job, and a loss of tools can be very damaging. Below I have put together a list of tips – some obvious, some not – on how you can prevent tool theft and how you can recover stolen tools. Keep an eye on your tools. It is not easy to watch over your tools every second of the day, but if you know you will be leaving the room for more than a few minutes, try and put your tools away. Paint your tools a bright color. The idea here is that you can easily spot who has your tool from afar. The downside is that you have to actually see that someone has your tools. Another downside is that paint can be quickly removed with paint thinner. I am not a fan of this method myself, I prefer the next option. Put your name on your tools. I am not talking about using a marker that can easily be removed, engrave your name onto your tools. I use a Dremel and one of their engraving bits. We want the would-be thieves to see right off the bat that the tools will be hard to resell. I engrave deep to prevent the sanding of my name away and put my name in multiple locations. Lock up your tools when you leave for the night. It is best to take your tools home with you every night but this is not always practical. Use a gang box (aka job box) for your small power tools. You can get them for a couple hundred at your local home center. Be sure to chain your gang box to a column or something similar so it can not be easily loaded into the back of a truck. Chain up your bigger tools like table saws and miter saws. I am a fan of cable locks like the Master Lock Python. Use technology to your advantage. 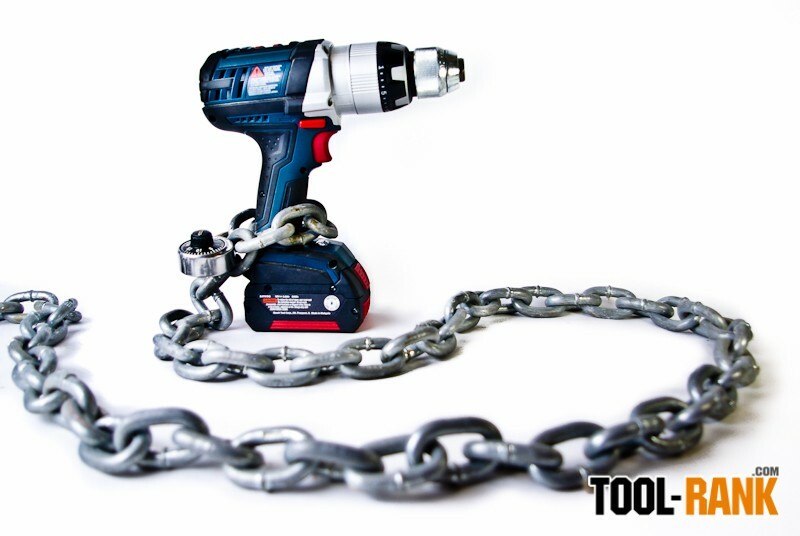 You can easily add cheap alarm systems to your gang box, or add a siren alarm padlock to your chained up tools. If someone tampers with your tools, they will hopefully alert the neighbors. Small GPS trackers are also becoming more affordable and can be easily hidden in a gang box or on a large tool. Write down the serial numbers for all of your tools. If your tools ever do get stolen, the only way they can be recovered is with the serial numbers. Pawn shops are required to file reports to the police after they make a purchase. If the Police match your serial number to one at the pawn shop, you get your tools back, and the thief goes to jail. And because the serial numbers are entered into a national database, it doesn't matter where the tools are pawned. File a police report. Be sure to include a list of everything that was taken and bring your serial numbers. If you happen to spot your tools on Craigslist or anywhere else tools are fenced, you will want that police report to back up your claim. Do not buy stolen tools and help stop the cycle. Look for the clues. If someone is selling tools at a super low price, they might be stolen. Check to see if the tools have other people's names on them. Don't buy tools out of the back of a truck from someone you do not know. If you have any tips of your own, let us know in the comments below.